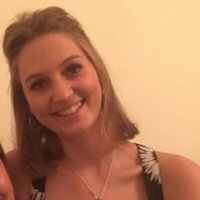 Sophie Goddard graduated from Leeds with a BA in Geography in 2013 and successfully gained a place on the NHS Graduate Management Training Scheme. Here she shares her experiences and tips on the application process. I work for the NHS and am on the Graduate Management Training Scheme which focuses on developing graduates as emerging leaders in the NHS management workforce. I am on the General Management specialism (4 specialisms are offered) which does what it says on the tin – gives grads the experience of general management of services within the NHS, touching on financial/budgetary and staffing aspects. Currently I work for Berkshire Healthcare Foundation Trust which provides community services such as mental health, physiotherapy, diabetic eye-screening, district nursing and many more, to the population of Berkshire. My current role is based in a mental health outpatient clinic and I have been responsible for reviewing the role of the administrative staff across different teams in the building to see if any improvements can be made with regards to efficiency. In a couple of weeks I will be starting a new project focusing on service redesign and restructuring for a community health clinic. This will give me budgetary responsibilities and exposure to staff resistant to change. The role is very varied and each day is different. I would highly recommend the scheme! Honestly, I had absolutely no experience of the NHS, prior to joining the scheme, other than sitting in A&E waiting rooms – but this doesn’t matter. Like many graduate schemes, the NHS focus on candidates’ past behaviours rather than achievements. If you can show you have experienced leadership in the past in some form or another, you will be fine. I only decided to apply to the NHS in the autumn after I graduated. My work experience was solely focused around sales/marketing roles in the private sector as I had previously thought I wanted to follow such a career. However, this didn’t deter me from applying and actually found my experience useful in the application process. I was able to draw on both examples from these experiences and extra-curricular activities in my interview. I have volunteered for a variety of charities including Crisis at Christmas (who provide those who are sleeping rough somewhere warm and dry to stay during the Christmas period) and TAABAR in India (providing runaways and orphans with a home and education). At Leeds I was Social Secretary for the Lacrosse Club and initiated a sponsorship deal with a local bar that we attended each week which generated income for the club. At school I was also involved in leadership and team roles. Whilst these specific experiences are not vital for being accepted onto the scheme, I believe it helps if you have a number of varied experiences which demonstrate the correct behaviours that the NHS look for. The more activities you are involved in, the higher the chance you have for choosing a suitable example which displays the behaviours asked of you. Firstly, candidates are required to complete a simple online application form (it does not ask ‘tell me about a time when you…’ questions). Next you complete a series of online tests encompassing numerical and verbal reasoning, situational judgement and behavioural preferences. The numeracy test was by no means the hardest I had attempted for graduate schemes but I would stress that practising is key. For the situational and behavioural tests, I was completely honest and believe all candidates should choose what they would really do in the situations posed to them. At the end of the day, the scheme has to be right for you and if you write the answers you think they want to see, you probably won’t enjoy your job as you are unlikely to share the same values. The interview was relatively straight forward and I didn’t find it too difficult. You will be asked to talk about examples where you showed some of the following competencies: setting direction, working with others, motivation and demonstrating personal qualities so ensure you could touch on these. The final stage is an assessment centre which strives to mirror ‘A Day in the Life of a NHS Manager’ and this incorporates a series of group and individual exercises with a written test. I would say the initial application stage (online form and tests) are not particularly challenging but the final stages require more concentration and effort. With 15,000 applicants a year you do need to try and stand out, I have listed a few tips that could help you with your application. Apply early and take time practising the online tests. If possible, reference the NHS in the examples you give at the interview stage to give it that personal touch. For example, if your Granny was ill in hospital for a long period of time and you were very happy with the care she received and it made you realise this is something you wanted to be involved in then say it. This was mentioned as something that would have strengthened my application. Remember, we provide support, advice and guidance at every stage of the selection process. Check out our website or talk to us. Equally we can help you decide on or plan your next steps after university, or with any career-related query.